Picking the right lock for your home is something that you should take very seriously. After all, the safety and security of your home are crucial for peace of mind. In this article, we will discuss some of the things to consider when it comes to figuring out if you should opt for smart locks or traditional locks in our smart locks vs traditional locks guide. One of the biggest factors that you are going to want to consider when it comes to figuring out which one you should purchase would be the level of convenience that you are going to get. Convenience can vary greatly when it comes to the lock you end up getting. There is simply no way that a traditional lock is going to provide you with the level of convenience that you would be able to enjoy with smart locks. Traditional locks simply do not have the features that you would be able to find in smart locks which make them much less convenient. Another big factor that has to be considered when you are comparing the options available would be the price tag that comes along with them. You want to identify the lock(s) that fit within your respective price tag. Depending on the number of locks you are going to be getting, the price tag can vary substantially. Smart locks are going to cost more no matter what. You can expect to spend anywhere from $100 to $300 depending on the brand you purchase and the features that you are looking for in them. 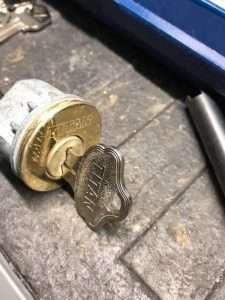 On the other hand, traditional locks can be very inexpensive to replace as they range anywhere from as little as $20 to $150 depending on the brand, material makeup, and more. Security has come a long way since the inception of smart locks, but it still has a long way to go to gain consumers full confidence. After all, smart locks are subject to firmware updates and hacking smart locks on the market is still much easier than it is to break or compromise the integrity of a traditional lock. Because of this, those that value security above all are likely going to want to continue to wait on the sidelines as the market and products mature and increase in security. However, depending on your use-case, it might offer much more security since you will be able to check in on your doors and lock them at any given time. Another issue that you might run into with traditional locks is losing your keys. 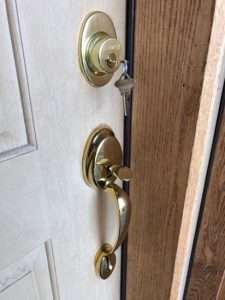 With a smart lock in place, you are going to be able to avoid worrying about this issue. Smart lock manufacturers have managed to get the installation down to a very streamlined process which makes for little differences when comparing smart locks with traditional locks. Another difference as mentioned above comes with the entry access. With smart locks, you should have multiple ways that you can allow for entry to your home ranging from key level access to smart-pad access to mobile application access. Whereas, with a traditional lock, you are going to be limited to keypad entry which means you and anyone that wants to enter your home will need to have the key with them. Thus, it can be difficult for parents with children that require access at times when they are not home. This is why a lot of parents are making the switch to much more flexible and kid-friendly smart locks. Overall, there is a lot that you are going to want to consider when you are comparing smart locks vs traditional locks. Finding the right lock option for your home is primarily about figuring out what you are more comfortable with. 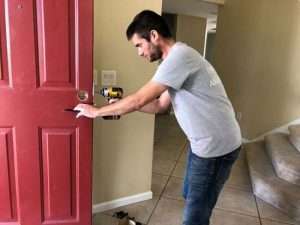 While it’s true that smart locks still trail behind traditional locks in terms of their overall security, that might not necessarily deter you from making the switch to one given the level of convenience it provides and the peace of mind that it can offer you knowing that you are in complete control over your locks at all times. Also, you will be able to avoid walking around with keys and worrying about forgetting or losing them.